If you've ever had the chickenpox -- and almost all adults have -- there's a good chance the virus is still at large in your body. 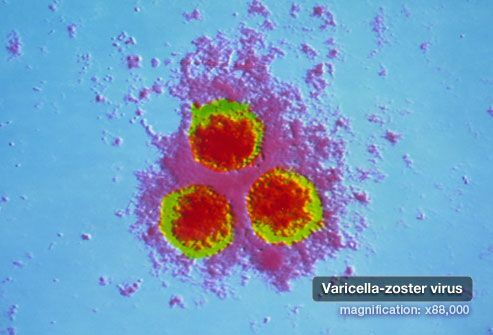 The varicella zoster virus can lie dormant for decades without causing any symptoms. In some people, the virus wakes up and travels along nerve fibers to the skin. The result is a distinctive, painful rash called shingles. What Does the Shingles Rash Look Like? 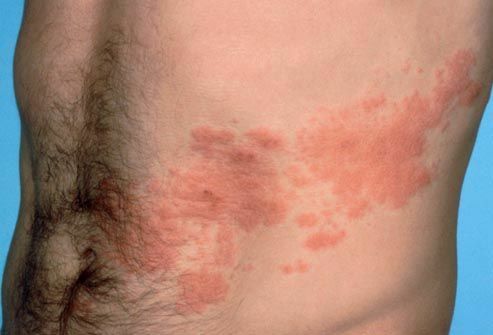 The shingles rash can be a distinctive cluster of fluid-filled blisters -- often in a band around one side of the waist. This explains the term "shingles," which comes from the Latin word for belt. The next most common location is on one side of the forehead or around one eye. But shingles blisters can occur anywhere on the body. Small blisters that appear only on the lips or around the mouth may be cold sores, sometimes called fever blisters. They're not shingles, but are instead caused by the herpes simplex virus. 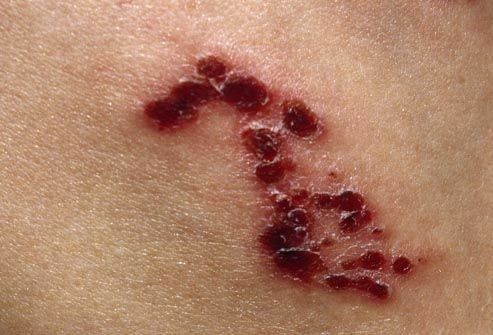 Itchy blisters that appear after hiking, gardening, or spending time outdoors could be a reaction to poison ivy, oak, or sumac. If you aren't sure what's causing your rash, see your health care provider. The varicella zoster virus is the culprit behind both chickenpox and shingles. The first time someone is exposed to the virus, it causes the widespread, itchy sores known as chickenpox. The virus never goes away. Instead, it settles in nerve cells and may reactivate years later, causing shingles. It's also called herpes zoster, but it's not related to the virus that causes genital herpes. A doctor can usually diagnose shingles just by looking at the rash. If you have shingles symptoms, see your health care provider even if you think you've never had chickenpox. 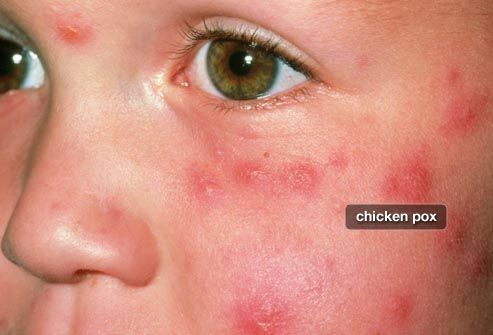 Many childhood cases of chickenpox are mild enough to go unnoticed, but the virus can still linger and reactivate. To help prevent complications, it's important to start treatment as soon as possible after the shingles rash appears. Shingles blisters usually scab over in 7-10 days and disappear completely in two to four weeks. 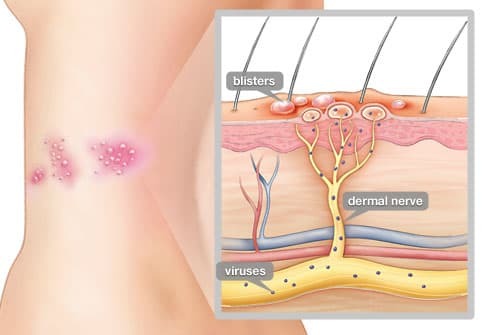 In most healthy people, the blisters leave no scars, and the pain and itching go away after a few weeks or months. But people with weakened immune systems may develop shingles blisters that do not heal in a timely manner. Who's at Risk for Shingles? A quarter of adults will develop shingles at some point, and most are otherwise healthy. Yes, but not in the way you may think. Your shingles rash will not trigger an outbreak of shingles in another person, but it can sometimes cause chickenpox in a child. People who've never had chickenpox, or the vaccine to prevent it, can pick up the virus by direct contact with the open sores of shingles. So keep a shingles rash covered and avoid contact with infants, as well as pregnant women who have never had chickenpox or the varicella vaccine and people who may have weak immune systems such as chemotherapy patients. Can Shingles Cause Chronic Pain? In some people, the pain of shingles may linger for months or even years after the rash has healed. This pain, due to damaged nerves in and beneath the skin, is known as postherpetic neuralgia. Others feel a chronic itch in the area where the rash once was. In severe cases, the pain or itching may be bad enough to cause insomnia, weight loss, or depression. 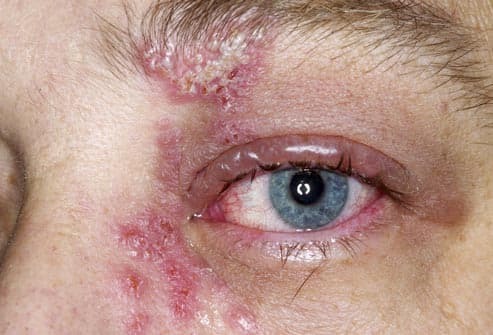 If the shingles rash appears around the eye or forehead, it can cause eye infections and temporary or permanent loss of vision. 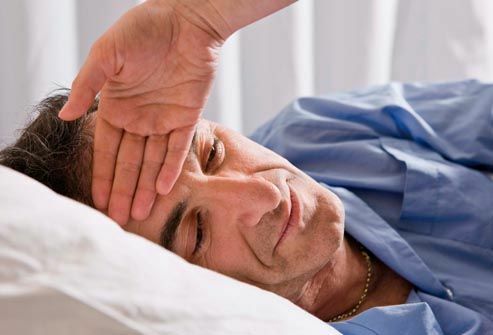 If the shingles virus attacks the ear, people may develop hearing or balance problems. In rare cases, the shingles virus may attack the brain or spinal cord. These complications can often be prevented by beginning treatment for shingles as soon as possible. While there is no cure for shingles, antiviral medications can put the brakes on an attack. Prompt treatment can make a case of shingles shorter and milder. Doctors recommend starting prescription antiviral drugs at the first sign of a shingles rash. Options include acyclovir, valacyclovir, or famcyclovir. Over-the-counter pain relievers and anti-itch lotions, such as calamine, can help relieve the pain and itching of the shingles rash. If the pain is severe or the rash is concentrated near an eye or ear, consult your doctor right away. 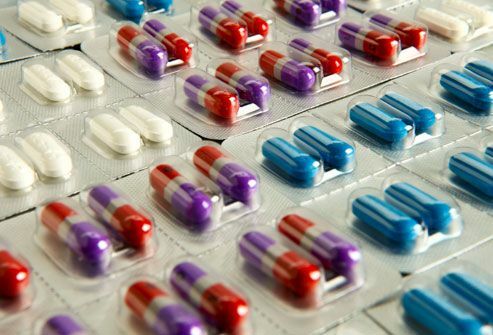 Additional medications, such as corticosteroids, may be prescribed to reduce inflammation. 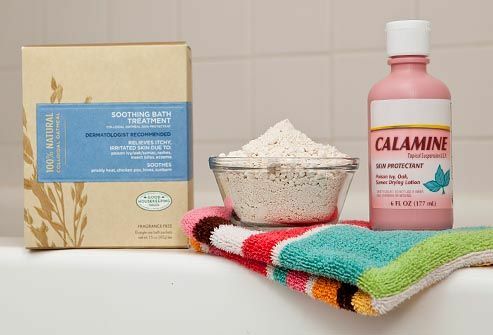 Colloidal oatmeal baths are an old standby for relieving the itch of chickenpox and can help with shingles, as well. To speed up the drying out of the blisters, try placing a cool, damp washcloth on the rash (but not when wearing calamine lotion or other creams.) If your doctor gives you the green light, stay active while recovering from shingles. Gentle exercise or a favorite activity may help keep your mind off the discomfort. 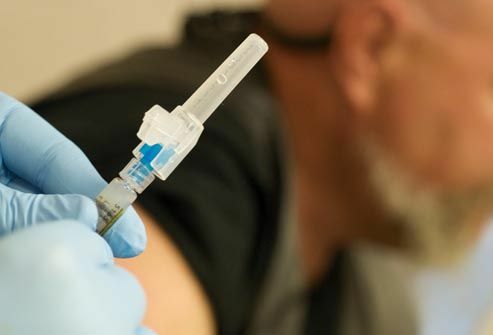 The CDC recommends that healthy adults ages 50 and older get the shingles vaccine, Shingrix, which provides greater protection than Zostavax. The vaccine is given in two doses, 2 to 6 months apart. Zostavax is still in use for some people ages 60 and older. You are sick with an illness and a fever of 101°F or higher. You should also consider delaying the vaccine if you are pregnant or breastfeeding. Not enough is known about its safety for expectant and lactating women. You have had a negative test for varicella; this would be uncommon for adults eligible for the vaccine, as most adults worldwide ages 50 and older have been exposed to the virus. You do not have to be tested before getting the vaccine. 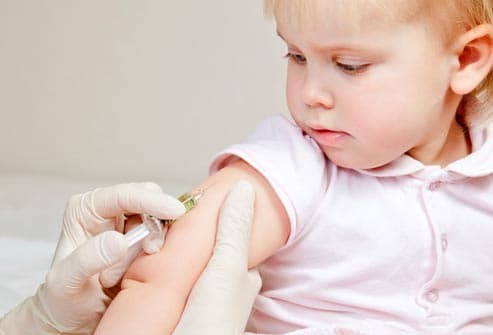 Since the late 1990s, most children in the U.S. have received the varicella vaccine to protect against chickenpox. This vaccine uses a weakened strain of the varicella zoster virus that is less likely to settle into the body for the long haul. (1) CNRI / Photo Researchers, Inc.
(12) SPL / Photo Researchers, Inc.
American Academy of Dermatology: "Lip and Mouth Care" and "Poison Ivy: Signs and Symptoms." Centers for Disease Control and Prevention: "Shingles: Signs & Symptoms;" "Shingles: Transmission;" "Shingles (Herpes Zoster): Prevention and Treatment;" "Shingles Vaccination: What You Need to Know;" "Shingrix Recommendations;" and "What Everybody Should Know about Zostavax." National Institute of Allergy and Infectious Diseases: ""Shingles Symptoms," "Shingles Diagnosis," "Shingles Treatment." National Institute of Neurological Disorders and Stroke: "Shingles: Hope Through Research."